The Hozelock Ecocel filters have several features built-in to increase practicality and performance. When used with the correct size Hozelock Cyprio UVC they carry the Clearwater Guarantee. 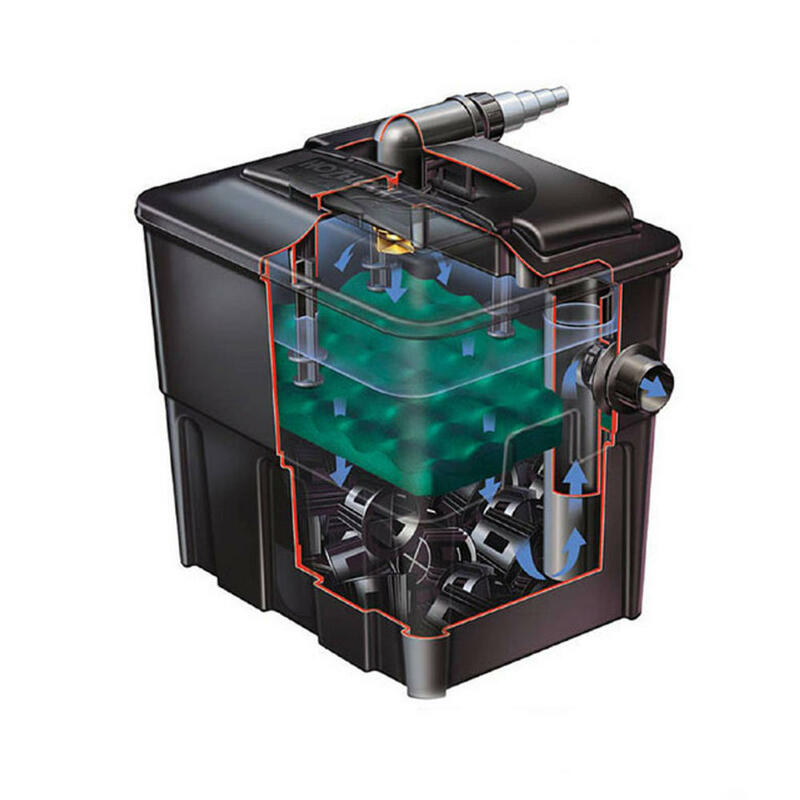 The Hozelock Ecocel filter is a compact filtration system that is easy to install in any new or exisiting pond set up. The filter box can be buried in the ground up to the lid or simply placed where needed around the pond. Water enters the unit via a top mounted spray head, which aerates the water for a high oxygen content as it sprays the water onto the foam media below. Solid particles in the water are then trapped in the foam sheet. Almost solids free at this point, the water then passes through plastic biomedia where beneficial bacteria cleanse pollutants. Purified water then passes up an outlet tube and back into the pond.